In any home, there’s always a lot going on in the kitchen. From cooking and cleaning to conversing and playing, your client’s kitchen serves as the social hub of your client’s home. 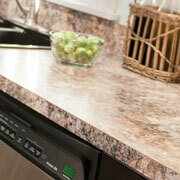 ProSource® of Madison offers trade pros incredible wholesale prices on kitchen remodeling products. Work with our design team to find the right materials for your client and their budget. 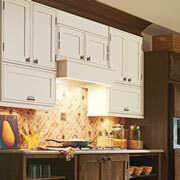 When your client needs more storage space in a cluttered kitchen, the best place to start is with new kitchen cabinets. Our in-house designers can help you find the sizes, shapes, and materials you need to create stylish new cabinets for your client. The cabinet faces in the kitchen take up much of the decorative space in the room. But that doesn’t mean they have to be devoid of character. 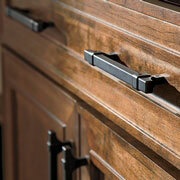 Add charming cabinet hardware to your cabinetry. ProSource offers knobs, handles, and pulls of all sizes and styles. Putting a new countertop in your client’s kitchen might be a big undertaking, but it doesn’t have to be a big expense. Your clients will enjoy our selection of luxury countertop options, like granite and marble, and their low wholesale price tags. 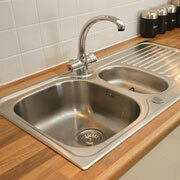 The kitchen sink helps to keep even the busiest of kitchens of order. From cooking and cleaning, the sink is your constant companion in the kitchen. Make sure it’s up to the task with a new sink from ProSource. We have multi-basin options in many styles and finishes. 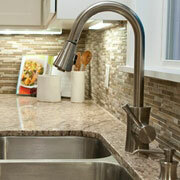 A new kitchen faucet is an elegant addition to your functional sink. With new innovations, like pot and beverage filling spouts, and ergonomic handles, your client will love using their new kitchen sink faucet.